Comments: ALTERNATE EDITION: Annotated Instructor's Edition. Your book ships within 24 hours or next business day. 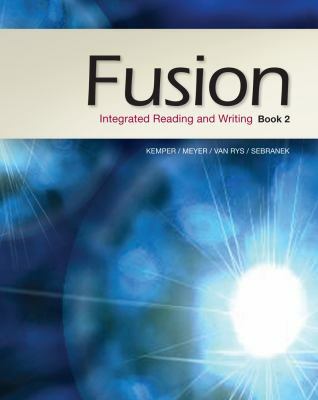 Patrick Sebranek is the author of 'Fusion: Integrated Reading and Writing, Book 2', published 2012 under ISBN 9781133312499 and ISBN 1133312497. Loading marketplace prices 342 copies from $0.17 How does the rental process work?